PUTRAJAYA- Former Treasury secretary-general Tan Sri Mohd Irwan Serigar Abdullah today denied an allegation that about RM18 billion meant for Goods and Services Tax (GST) refunds had gone missing.He explained that all GST proceeds were placed in the Consolidated Fund before being channelled to the trust fund to repay GST claims based on the request of the Royal Customs Department. The procedure was provided for in the Financial Procedure Act 1957 and the information was available from the Accountant-General’s Department and Fiscal Division of the Finance Ministry. “At the federal government cash flow management monthly meeting, the Customs (Department) will present the need for refunds and outstanding amounts due. “Based on the (Customs’) need and the government revenue position, the meeting will decide on the allocation to be made to the trust fund,” he said when approached by reporters here. Finance Minister Lim Guan Eng, when tabling the Goods and Services Tax (Repeal) Bill 2018 for second reading in the Dewan Rakyat yesterday, said about RM18 billion was missing from the RM19.4 billion meant to be GST refunds from April 2015 to May 31 this year. He said the Customs Department records showed that of the RM19.4 billion, RM9.2 billion or 47 per cent was for this year; RM6.8 billion (35 per cent) for 2017; RM2.8 billion (15 per cent) for 2016 and RM600 million (three per cent) for 2015. Mohd Irwan Serigar, citing an example of GST refunds for last year, said the Customs Department paid claims totalling RM23 billion or 34 per cent from the GST proceeds. He said it was understood that there were RM15 billion outstanding claims for last year that needed verification, investigation and auditing process to ensure there was no fraud or false claims. “Every sen is accounted for. It is the people’s money, which is why it is much more important to be credited to the consolidated fund. When it’s needed, it will be taken out (from the consolidated fund),” he said. Mohd Irwan Serigar said the refund process was clear, the Customs Depaprtment would make the refund in 14 days. However, in cases of doubt and where investigation and auditing are necessary in cases of false claims, it will take longer. “In conclusion, there are no missing funds,” he said, adding that he was prepared to extend cooperation if the government needed information on the matter. 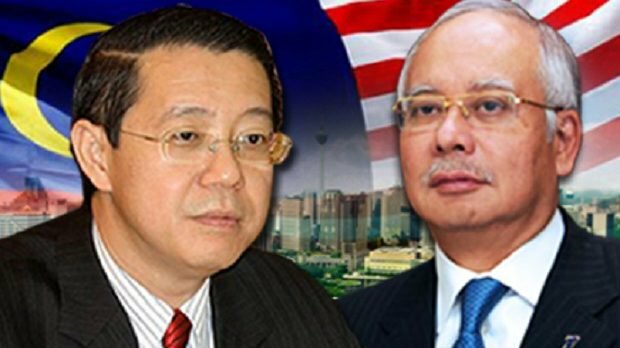 FORMER prime minister Najib Razak may be the subject of an open investigation into the missing RM18 billion in goods and services tax refunds, said Lim Guan Eng. The finance minister told Parliament during the second reading of the Customs (Amendment) Bill 2018 today that only ministers were empowered to transfer GST revenue, collected from the Customs Department, from a trust fund into a consolidated fund. He did not indicate whether the investigation would take the form of a royal commission of inquiry or a police probe. He said such an investigation would be carried out only upon the completion of an internal probe. Lim today told the Dewan Rakyat that the money, which was supposed to be refunded to businesses that paid GST, had been spent. He said an internal investigation seeks to uncover the extent of cabinet members’ involvement in the Finance Ministry, namely those empowered to make transfers into the consolidated fund. “It is clear that the money was robbed by the previous government. “There will be an open investigation into why the (then) finance minister (Najib) approved of this. Najib held the finance portfolio from 2008 until May 10 this year. After GST was implemented in 2015, Ahmad Husni Hanadzlah and Johari Abdul Ghani served as second finance ministers, while Ahmad Maslan served as deputy finance minister. All three are from Umno. The RM18 billion shortfall was revealed by an internal audit and Customs Department inspection. Lim said the department should not be blamed, as authority over GST refunds lies with his ministry. The department has said the refunds amounted to RM9.18 billion last year, RM6.78 billion (2016) and RM610 million (2015). Lim yesterday revealed that the current balance in the GST trust fund is a mere RM1.486 billion. He said the previous Barisan Nasional administration’s failure to refund businesses has had a negative affect on commerce in the country. He also affirmed that the ministry will refund businesses through other means. The missing money was the mainstay of the nearly two-hour debate today, despite warnings from Dewan Rakyat Deputy Speaker Nga Kor Ming to opposition lawmakers to stick to issues relating to the Customs amendment bill.